This course is suitable for all levels of experience with each student working at their own pace. 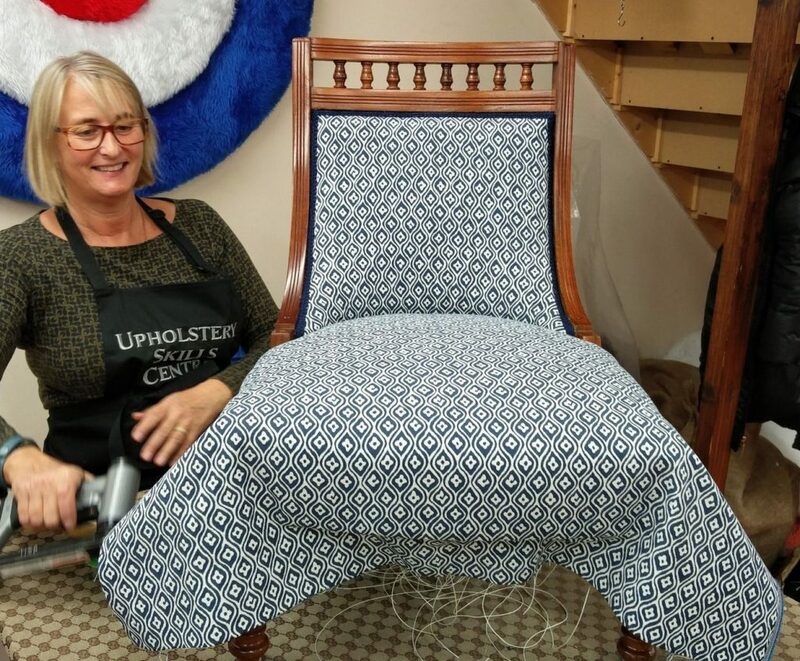 It is ideal if you would like to learn and develop your traditional and modern upholstery skills, for example webbing, stuffing & stitching, tying in springs and buttoning. You will be in a small group and have the opportunity to work on your own project. You may choose to reupholster your own small chair - an occasional, bedroom or hall chair - or make your own footstool or headboard with buttons. You can also start a larger project and then book additional days to continue and complete your project after your intensive week. Tools will be provided. You can either purchase the materials you require at the Centre or bring them with you. 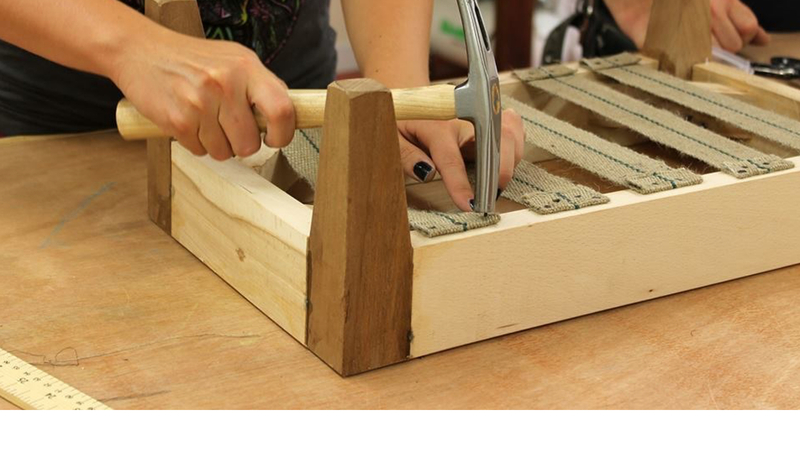 You can also purchase your footstool or headboard creation and tools, if you wish!